Django is a comfortable, brasserie-style restaurant offering everything you love about French cuisine without the attitude. Django features classic French dishes such as Steak Frites and Bouillabaisse, as well as fresh salads and juicy hamburgers made with fresh-ground beef. Want to join the Django team? Visit the Django employment website. A Des Moines native, Derek Eidson worked in some of the city's top kitchens, including 11 years at Centro where he served as Executive Chef. In that time, Eidson quietly transformed the downtown icon into one of the most inspiring culinary destinations in the state. Now as Django Executive Chef and Partner, Eidson brings a fresh take on an Iowa classic, reinforcing the restaurant's reputation as a "must-visit" dining experience. Don't miss his ever-changing "Chef Inspiration" menu, showcasing quality, local ingredients and refined preparations. 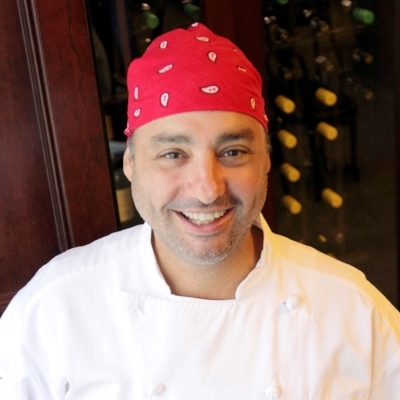 George Formaro is the accomplished restaurateur behind some of Des Moines’ most successful eateries – Centro, Django, Malo, South Union Bread Café, Gateway Market & Café and Zombie Burger + Drink Lab. He is also the founder of the first artisan bakery in Iowa, South Union Bakery, opened in 1996. Raised in an Italian family on the city’s east side, Formaro knew the power of good food in strengthening bonds among family, friends and business associates. A six-time James Beard Award nominee, his education in the restaurant trade began in several of Des Moines’ well known restaurants.